This post a about a month overdue but I've been so busy with work that I've put it off until now but better late than never! 5 months into my job and I decided to take two weeks off. Some of my corners hadn't even dared to take one and others had taken any in the entire year. But honestly, why do you have vacation days if you're not going to use it? I'll use them for you! Haha jokes! I decided early on that I wanted to visit Australia during February to (1) escape from the snow and cold of Chicago, and (2) visit my bf and other friends I had met while traveling. Killing two birds with one stone! Verdict: I can't praise Australia enough! It's a beautiful, fun, energetic, and all around great country. I'm in love and I can't wait to be back (moving there in 1.5 years? maybe). St. Kilda Fest: a free summer festival with music, festival games, drinks, food - everything you would want! Bright, Victoria: went to the country for a few days (~3 hr drive from Melbourne) - super relaxing with lots of sightseeing and riding motorcycles up to viewpoints. Also saw my first kangaroo in the wild!! Great Ocean Road: you may know but this is the iconic road-trip along the south of Australia - the beautiful coastal line and the 12 Apostles. It's definitely a MUST visit trip while down in the south. 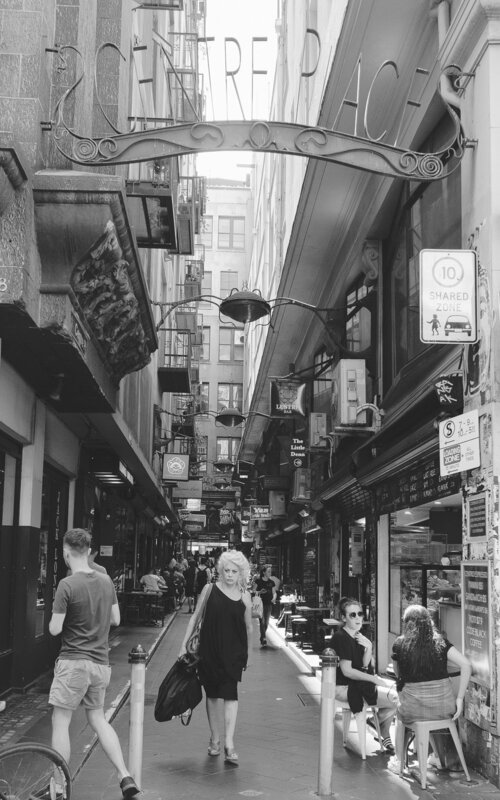 Downtown: I spent a day with friends I met traveling who moved to Australia to work. During one of the occasion we went on a massive tour of downtown, going from one graffiti street to the next, one neighborhood to the next, one park to the next, and everything in between. There are tons of shopping malls, stores, restaurants, alleyways with food, etc. Gambling: not usually my vacation must-do but I thought, hey why not go gambling - it's in my blood. So we spent a night gambling (didn't come up big but it was so fun regardless). Speakeasy hopping: after the most delicious sushi / nigiri dinner, we decided to check out some cool bars around the city so we went on a hunt for speakeasies. We were only able to seek out 3 so the rest our on our bucket list for next time. Queen Victoria Market: The open air Queen Victoria Market is over 100 years old and sells everything from paintings to shirts, bags, candles, souvenirs, hats, and lots of food. I have a soft spot for markets so I loved every inch of it. I'm just a bit bummed I missed the other great markets Melbourne has during the week. Healesville Sanctuary: Australia is known for their crazy animals, ones you think you only see in movies or cartoons. I only saw one kangaroo in real life and that wasn't enough. The Healesville Sanctuary is about an hour outside of Melbourne and is filled with every creature not found in the US like kangaroos, koalas, platypus, emus, etc. 2 weeks was not enough to do everything I wanted but it left me with a warm, happy feeling and an urge to be back soon. I can't wait until that time and also the chance to explore the rest of the country!